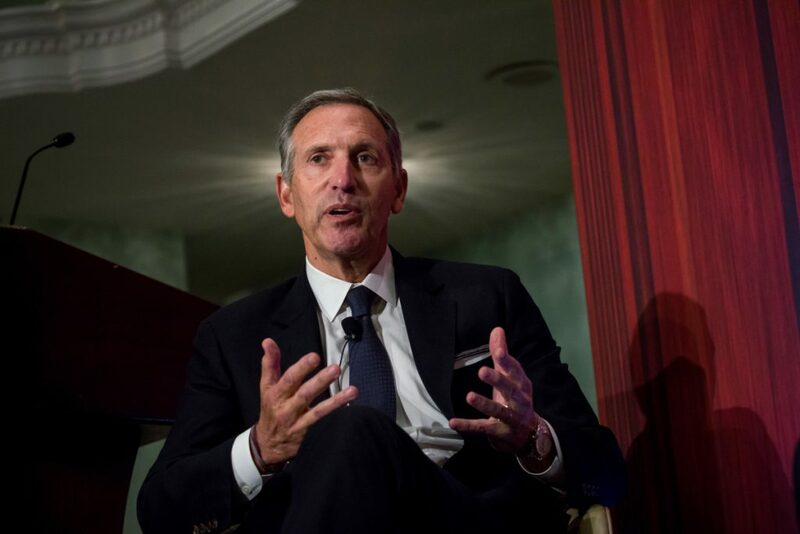 Advisers to Howard Schultz are exploring the possibility of launching an independent bid for the White House in 2020. “Anyone thinking of running for president as an independent would have to think really hard about splitting the anti-incumbent, anti-Trump vote, and just playing the spoiler role and reelecting Trump,” said Howard Wolfson, a former strategist for Hillary Clinton’s 2008 presidential campaign. He now advises former New York Mayor Michael Bloomberg, who is considering his own presidential campaign, as a Democrat. “I think that would be a terrible legacy for anyone to leave,” Wolfson said. Schultz’s personal office did not respond Friday to a request for comment. In all but two U.S. elections, candidates have won the presidency by earning a majority of Electoral College votes. If no candidate wins 270 or more votes, the victor would be decided by the House in a “contingent election,” with each state delegation getting one ballot. The Senate would decide who becomes vice president. Such outcomes are historically rare, the last occurring in 1824, when the House resolved a four-way race in favor of John Quincy Adams, even though Andrew Jackson had received the most votes. At the time, Republicans controlled a majority of seats in the House and the Senate. “The fact is, even if I were to receive the most popular votes and the most electoral votes, victory would be highly unlikely, because most members of Congress would vote for their party’s nominee,” Bloomberg declared in a 2016 article explaining his decision to stand down. He later endorsed Clinton. Kasich strategist John Weaver said the former Ohio governor will take into account the risk of inadvertently helping Trump’s campaign before making a decision. “Nobody would want to be a part of an effort that reelects Trump,” Weaver said. Upon his retirement last summer, Schultz said he would focus on public service, leaving open the option of a presidential run. “Let’s just see what happens,” he told CNBC in June. He has spoken in his deliberations with a network of former Starbucks advisers and board members, including former New Jersey Sen. Bill Bradley and Steve Schmidt, the former campaign manager for John McCain’s 2008 presidential run.